The sun shining, everything around you in bloom ... Could it be more perfect? When I saw it would be a great day, I immediately took out my red pants I showed you in my previous post. What do you think? As for the location: we shot these pictures in a hidden park I never knew existed until my mom told me about it today. 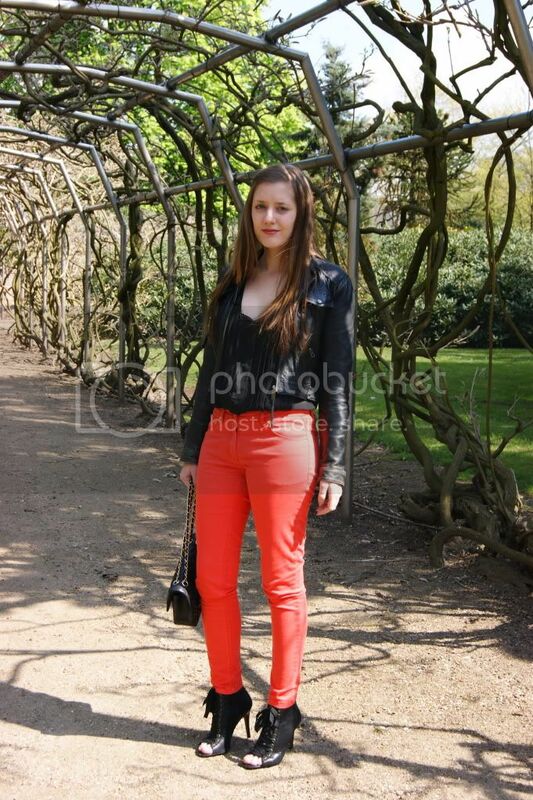 I'm wearing the same top as in my previous outfit post - bad blogger - but I loved it combined with these pants. P.S. : My best friend Hille started her own blog too. You can check it out HERE and if you like it, show her some love! After the shoot, I went to visit my grandfather. While I was there, I went through my late grandmother's closet, where I found this vintage Luisa Spagnoli-blazer. I'm totally in love with the color and shoulder pads and thought it went well with my outfit. The fact that my grandmother used to wear it makes it even more special to me. I found some other vintage clothes, but I have to take them to the tailor first. I'll show them to you ASAP! Die eerste foto is echt mooi! 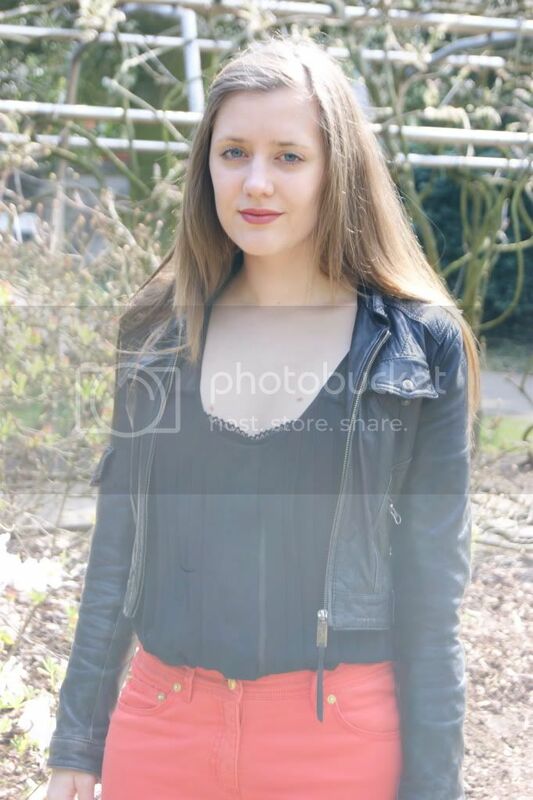 En je outfit natuurlijk ook! die rode broek en dat jasje samen staat echt heel leuk! Ik ben fan van je schoenen en blazer! Love the red pants & the background in your photos looks great! leuke outfit zeg, ik ga je volgen! En je schoenen en blazer vind ik zo mooi! Geen zin om mee te spelen voor de bikini van Elizabeth Hurley? Mooie outfit! Dat bloesje is trouwens supermooi! those pants are putting me in a trance lol!!!!! nice red colour of your pants! 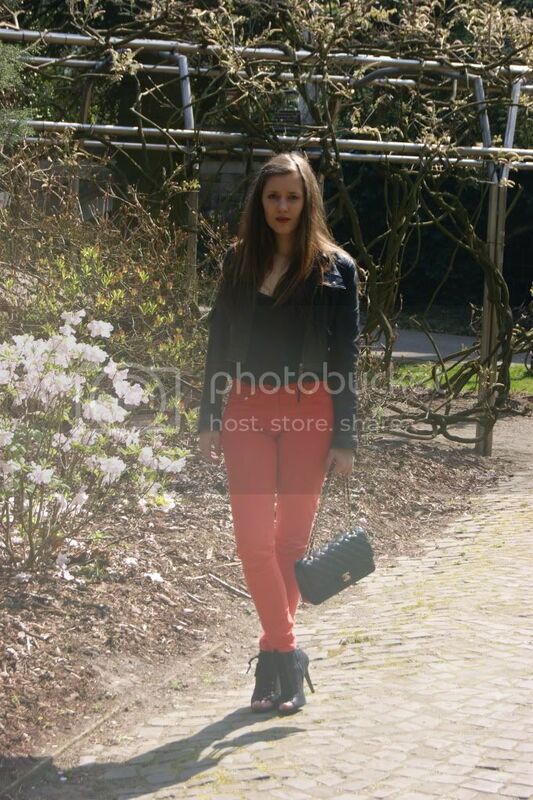 Superleuke outfit! Staat je echt heel goed en ik hou echt van de combinatie van de 2 verschillende tinten rood! Krizia! your outfit is so nice! :D And you dont know how much I love your heels! They re so beauty :) Let me say that the first pic is a real lovely one, you look gorgeous.